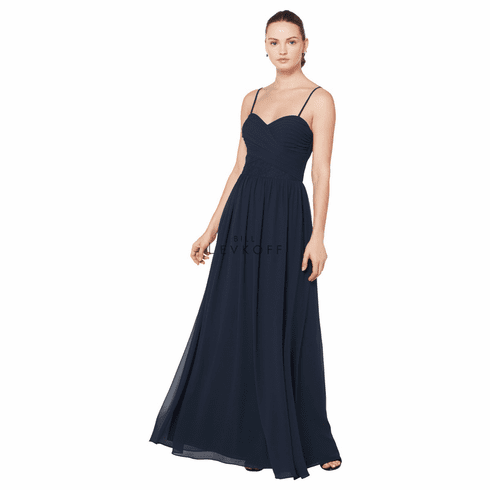 Description: Chiffon sweetheart spaghetti strap gown. Criss-cross ruching adorns the bodice. Corded lace insert accents the front and back of the bodice. Soft gathers surround the A-line skirt.